For all the pastoral comparisons frequently made to Kieran Hebden's work, my most enduring memories of Four Tet over the past decade are actually of him in the dancefloor driving seat: live in an old church in Bristol on 2005's Everything Ecstatic tour, teasing out the latent groove in tracks from that underrated album and its cosier predecessor Rounds. A Bristol club's small second room several years later, dropping So Solid's 'Oh No (Sentimental Things)' to a roomful of dancers just the right age to remember all the words. Sets at Plastic People (pre-redesign). A heaving Fabric Room One, too busy to squeeze into, for the launch of his UKG-tinted addition to their mix CD series. And now, this weekend just gone, an eight hour long, full-working-day of a Rinse FM takeover session, moving from jazz, devotional music and inscrutable Syrian dabke star Omar Souleyman (whose new album Hebden has just produced) to house, garage and electronica, joined in the studio by guests including Caribou's Dan Snaith, Pearson Sound, Anthony Naples and Floating Points. With retrospect, that Hebden took so naturally to the club is hardly surprising. The skippy beats of 2001's Pause and Rounds owed a debt to UK garage, while the jazz-inspired, drum-kit-falling-down-the-stairs clatter and thrum of Everything Ecstatic had a trancelike component with the capacity to incite busy physical motion (to which the reaction to tracks like 'Sun Drums & Soil' on that night back in 2005 could attest). Equally, DJing as a discipline - to which Hebden has devoted himself since the Plastic People residency that directly inspired 2010's intermittently great There Is Love In You album - shares much with his love of jazz and improvised music (and, indeed, his several year long improv-based musical relationship with the late Steve Reid): both are reactive and intuitive, involving reciprocal feedback between artist and environment. More striking, perhaps, is how swiftly he's become accepted as an integral member of the UK's dance music community. Since the Fabric CD and a set of 12" releases through his Text label, gathered on last year's Pink album, he's shared decks with grime DJ/producers new and old, the extended Hessle Audio family, visitors from Europe and the US and long-running British club music veterans, doubtless among others. But then Hebden does seem to possess a certain innate feel for dance music. Certain tracks on Pink were more strongly realised than others, but the album's crackly house and garage rhythms proved a neat foil for the detailed sample collage process he's honed over the years. Where earlier records might meander into unfocused territory, these club-centred beats were like fitting his music with a motor car chassis - streamlining tracks and lending them a boost in horsepower (pun intended) while retaining their characteristically melodic focus. And his vision of dance music is intricate but unfussy, possessed of low-end heft but wary of overproduction - much more rewarding than most of the glossy dross currently emerging from the UK's renewed fixation on all things house. Beautiful Rewind exercises that freedom. If there was inevitably a sort of designed-for-purpose functionalism to many of Pink's tracks - written as they were for club 12"s - then Beautiful Rewind transfers the same approaches and concerns to the format of a 'proper' album, one which definitely benefits from being shorter and more focused. Muted, jungle-tinged opener 'Gong'. 'Gong' and the hip hop-ish 'Parallel Jalebi' open the album in a low-key manner - both almost-sketches that hang around for much longer than you'd expect (or perhaps want), but in a manner that's still not unpleasing. In general, however, the album's tracks take more risks, and surprise in a way that we've not quite heard from Hebden before. 'Kool FM' starts sleekly but later destabilises its own momentum with MC chants pushed high in the mix, a move that initially feels clumsy but settles, with the track simply continuing along a newly skewed rhythmic axis. 'Buchla' - which samples an MC's chat so he appears to be chanting the name of the pioneer synth-maker (I'd be willing to bet he wasn't on the original recording) - breaks from its path to a teasing second's silence, broken only by the distinctive whoosh-crackle of a needle in a run-out groove. 'Unicorn' bears an eerie resemblance to the latticed synthetic voices that make up Oneohtrix Point Never's R Plus Seven album, albeit bolstered by a muffled Reese bassline grumbling away in the basement. As its name - and the naming of advance single 'Kool FM', a nod to the influential London station - suggests, Beautiful Rewind is clearly intended as homage to pirate radio and the UK dance music tradition. It mostly does carry itself with the requisite garagey swagger, a suit Hebden wears rather well. The rewind of the title is deployed both as motif and compositional device, sometimes bringing tracks suddenly to what feels like a screeching halt before they launch back into action, or used judiciously to give the music's energy levels a kick up the backside. 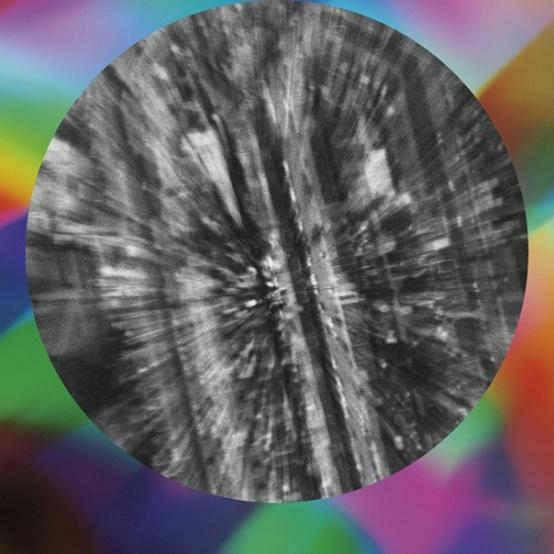 MC shouts, vinyl crackle and background radio interference are stitched into a characteristically Four Tet-esque tapestry of glimmering melodies, jazzy fills and the odd moment of undeniable beauty: chilly Zomby-style bleeps burbling upward through 'Our Navigation's final minute, or the frostbitten voices of 'Crush' nodding to eskibeat. Misty-eyed gazes backward towards older eras in dance music - some much better than others - have been prevalent for a few years now, especially since the emergence of a certain Hebden collaborating garage/dubstep producer. But things have gone into total Amen break overdrive in 2013, seemingly linking Hebden into a growing mini-narrative thing including people as disparate as Zomby, Paul Woolford's Special Request and Demdike Stare, as well as no shortage of trend-hoppers. Beautiful Rewind, however, actually strikes a refreshingly non-nostalgic note, due largely to his treatment of his source material. Rather than drowning everything in your typical haze of romantic tape distortion and interference - signifying, y'know, memory and stuff - there's a fairly brusque, rough-and-ready feel to Hebden's sample arrangements, where sources of obviously varying fidelities are lashed atop one another. Breaks and MC voices sound taped straight from pirate radio recordings, and as such possess the mucky feel of old grime and jungle tapes; instead of being masked these properties are foregrounded, making for rough contrasts to his cleaner melody and drum work. The result often feels immediate and upfront, less your stereotypical 'mourning for a bygone era' than reveling in its past vitality. Album highlight 'Aerial' strikes the right balance to draw lines between his older music and the Four Tet of 2013, hand-knitting flailing drum work and sprightly plucked string melodies to an MC's maniacal, only half-discernable shouts ("You want to get fucked / You want to smoke drugs"). At its end, the whole piece slowly tapers off in volume to a close, vanishing over the horizon as if we're being driven out of radio transmitter range.